Service credit plays a vital part in your pension calculation and your eligibility for other NYSLRS benefits. 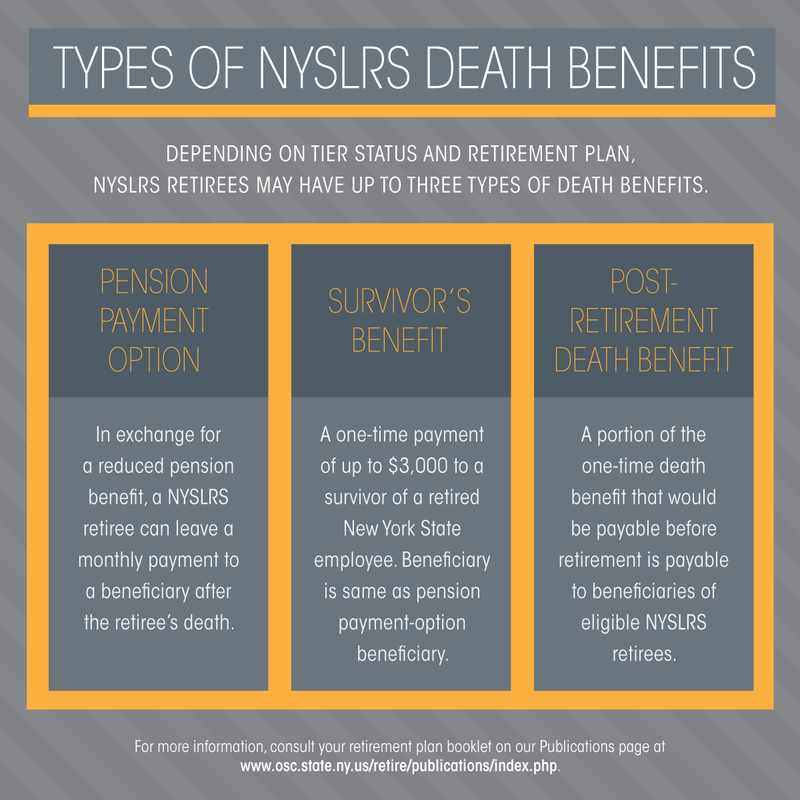 As a NYSLRS member, you earn service credit by working for an employer who participates in the Retirement System. All your paid public employment is creditable. You would not, however, earn credit for any period when you are not receiving a salary, such as an unpaid leave of absence. If you work full-time or part-time, you’re earning service credit, just at different rates. You can think of it like this: let’s say you work 130 days in a year. 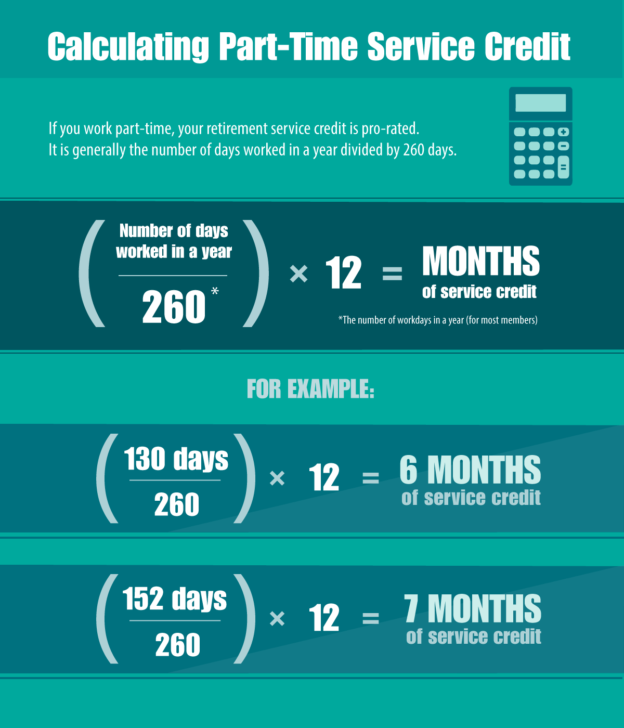 If a year’s worth of service credit is earned for working 260 days full-time, you’d earn half a year (0.5) of service credit for your part-time work. From May to July, we’ll send out this year’s Member Annual Statements. For most members, your statement will show how much service credit you’ve earned over the past fiscal year (April 1, 2017 – March 31, 2018). It will also show your total service credit as of March 31, 2018. Make sure to look it over to see how much service credit you’ve earned over your career. For more detailed information about service credit, please refer to your specific retirement plan publication. Content last revised June 13, 2018. This entry was posted in General News, Members and tagged annual salary, benefit reductions, benefits, defined benefit plan, ERS, Final average salary, full-time, Member Annual Statement, members, New York State & Local Retirement System, Part-time, pension calculation, PFRS, Preparing to Retire, retirement, retirement plan, retirement planning, Service credit on June 13, 2018 by NYSLRS. Attitudes about retirement vary from one generation to the next. That stands to reason. For Millennials (those born from 1979–2000), retirement is a long way off. For Generation X (born 1965–1978), retirement isn’t too far down the road, while millions of Baby Boomers (born 1946–1964) are already retired. A number of recent studies have tracked generational differences concerning retirement, but they also show a substantial amount of agreement among the generations. Surveys show that a majority of workers, regardless of generation, are saving for retirement. But Millennials appear to be outperforming members of the older generations on that count. They tend to start saving early and are on track to outpace Boomers and Gen Xers in building retirement nest eggs. Social Security’s troubles, plus the general decline of defined-benefit pensions, has left many feeling that they are on their own. According to one report, two-thirds of both Millennials and Gen-Xers expect their retirement savings accounts to be their primary source of income after they stop working. The take away for NYSLRS members? The cross-generational anxiety about retirement underscore the important role that a defined-benefit retirement plan, such as your NYSLRS retirement plan, plays in securing your financial future. It also reinforces the importance of saving for retirement. Content last revised December 20, 2017. 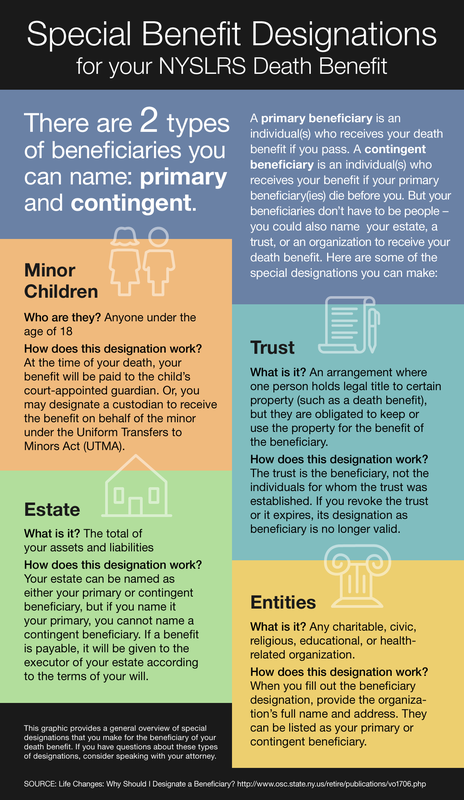 This entry was posted in General News, Members and tagged Baby Boomers, defined benefit plan, ERS, Generation X, Information is the Key, members, millenials, New Members, NYSLRS, PFRS, Preparing to Retire, retirement, retirement age, retirement planning, Retirement Savings, retirement savings plan, Social Security on December 20, 2017 by NYSLRS. Whether you’re 22 or 52, you should be planning for retirement. 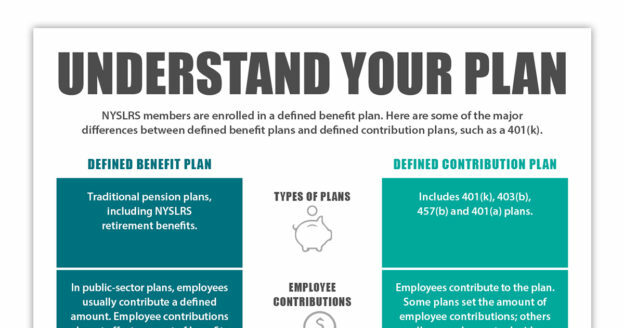 NYSLRS retirement benefits are based on tier status, years of service, and average salary. Age is also an important number, and not just the age when you plan to retire. 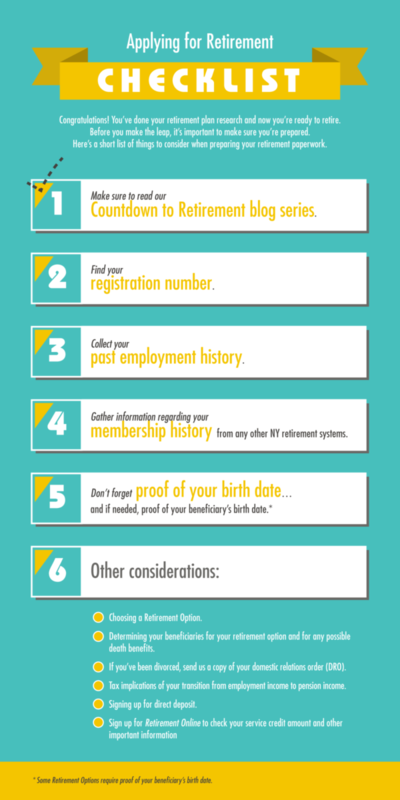 Here are some age milestones to keep in mind while planning for your retirement. Under 50: It’s never too early to start saving for retirement. Even modest savings can add up over time as investment returns grow and interest compounds. 50: The Age 50 and Over Catch-Up provision allows you to save more pre-tax dollars in a retirement account starting in the calendar year in which you turn 50. 55: The earliest age most NYSLRS members can retire. (Does not apply to members in special retirement plans.) Your pension may be permanently reduced if you retire at 55. 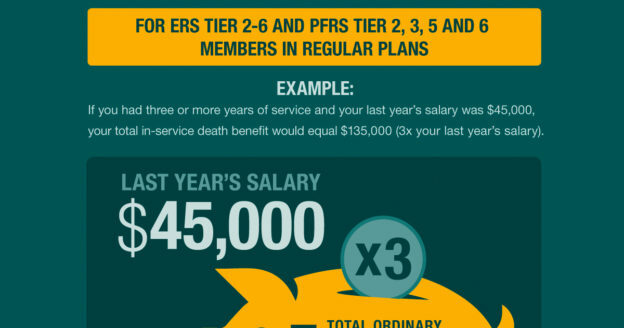 62: Full service retirement age for Tiers 2, 3, 4 and 5 and PFRS Tier 6. Earliest age you can begin collecting a Social Security pension, but the benefit would be reduced. For more information, read When to Start Receiving Retirement Benefits. 63: Full retirement age for ERS Tier 6 members. 65: Age most people are eligible for Medicare benefits. 66: Full Social Security retirement age if you were born from 1943 through 1954. Add two months for each year from 1955 through 1959. 67: Full Social Security age if you were born in 1960 or later. 70: If you do not take your Social Security benefit at full retirement age, your benefit will increase each year until you reach age 70. Delaying Social Security after 70 will not increase your benefit. 70½: If you have tax-deferred retirement savings and are no longer working, you must begin withdrawing some of this money after you turn 70½. One Last Number: Having a rough idea of your life expectancy is essential to retirement planning. For more information about retirement planning, read our publication Straight Talk About Financial Planning For Your Retirement. This entry was posted in Members and tagged age milestones, defined benefit plan, ERS, Final average salary, Financial Planning, Information is the Key, know your benefits, Life Expectancy, members, New York State & Local Retirement System, NYSLRS, PFRS, Preparing to Retire, Ready to Retire, ready-to-retire members, retirement, retirement age, retirement planning, Service credit on October 26, 2017 by NYSLRS. Many of us dream about retirement, but not one of us pictures leaving the workplace because we can’t perform our duties anymore. Yet the truth is debilitating medical conditions do happen. 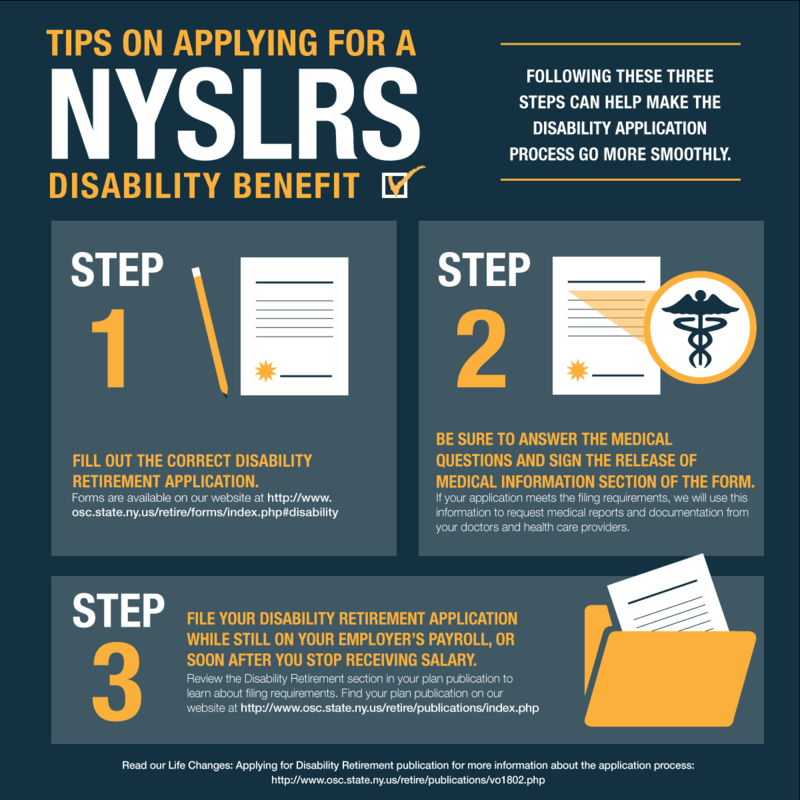 Though we hope you never have to use them, NYSLRS members have certain benefits available should you become permanently disabled from performing the duties of your job. This post is an overview of common disability benefits and how to file for them. 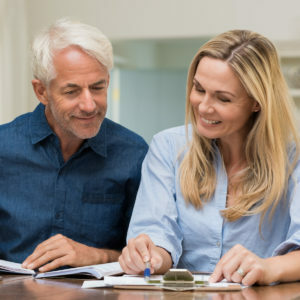 It is important to review your retirement plan booklet for specific benefit and eligibility information, and contact us with any questions you have, before you file an application. 1.66 percent of your FAS for each year of credited service, plus 1.66 percent of your FAS for each year of service you might have earned before age 60, up to one-third of your FAS. To qualify for an Article 15 disability retirement benefit, you must have at least ten years of credited service, unless your disability results from an accident you sustain on the job. If your disability results from an on-the-job accident, not due to your own willful negligence, there is no minimum service requirement. Some members have plans that may provide an accidental disability retirement benefit. 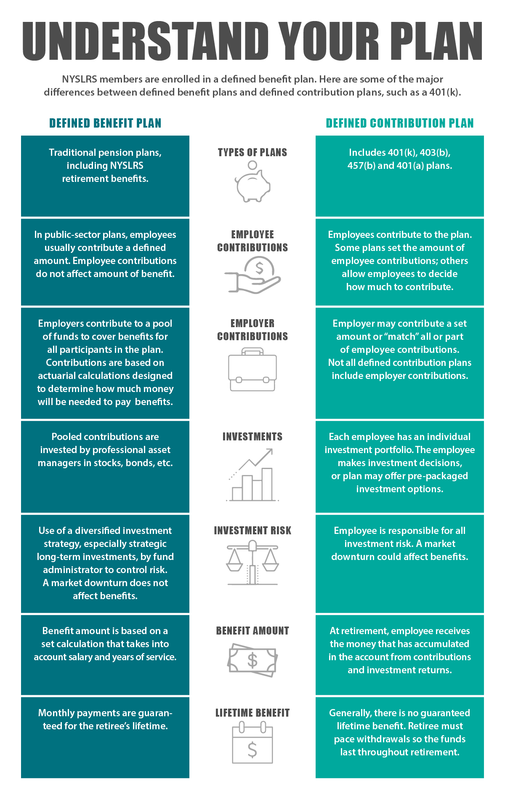 The benefit amount varies depending on your system (Employees Retirement System or Police and Fire Retirement System), tier and plan. It’s a lifetime benefit, but may be reduced by amounts received from workers’ compensation or Social Security. There is no minimum service requirement for an accidental disability retirement. 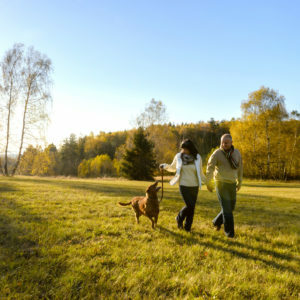 “Accident” has a special meaning when used in connection with Retirement System disability benefits. Whether an incident is an “accident” is determined on a case by case basis, using court decisions for guidance. Members of the Police and Fire Retirement System as well as some members of the Employees Retirement System, such as sheriffs and correctional officers, may be entitled to a performance-of-duty disability benefit. 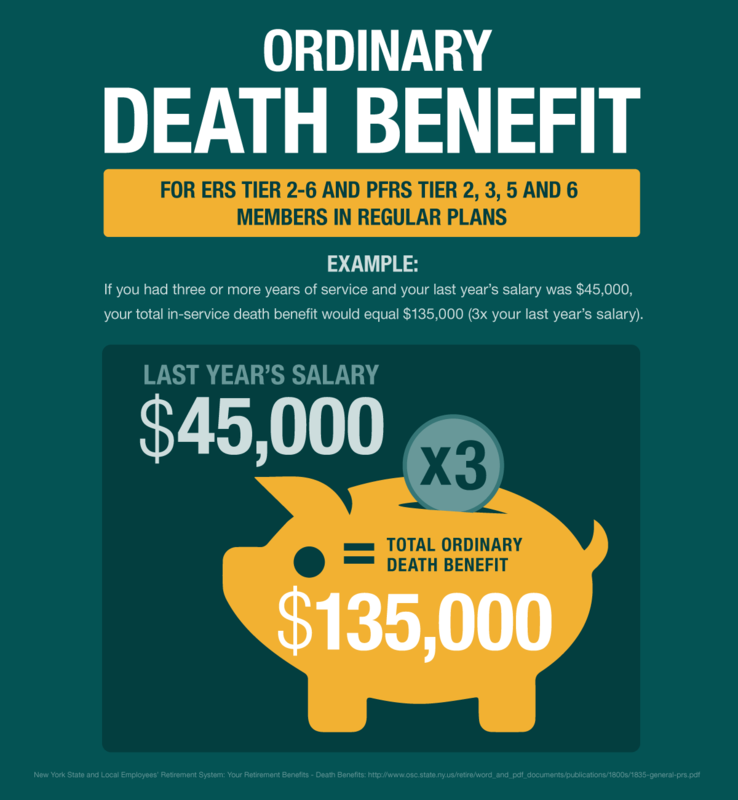 The benefit amount and eligibility requirements vary depending on your system, tier and plan. You, your employer, or someone you authorize may file a disability application on your behalf. If you think you might be eligible for a disability retirement, you may want to file your application sooner, rather than later, because there are strict filing deadlines that must be met. If you meet the requirements for a service retirement too, you can apply for both at the same time. If your disability application is approved, you will be able to choose which benefit you accept. If you participated in World Trade Center rescue, recovery or clean-up operations, you may be eligible to apply for a benefit under the World Trade Center Presumption Law. The deadline for members to file a notice with NYSLRS has been extended to September 11, 2018. For specific benefit and eligibility information, be sure to read your retirement plan booklet on our Publications page. Also, check out our Disability Retirements page and our VO1802 Life Changes: Applying for Disability Retirement booklet. You can reach our Call Center by email using our secure contact form or toll-free at 1-866-805-0990 (518-474-7736 in the Albany, New York area). Content last revised May 14, 2018. This entry was posted in General News, Members and tagged accidental disability retirement benefit, beneficiary, benefits, defined benefit plan, disability, disability eligibility, disability retirement, disability retirement application, ERS, Final average salary, Information is the Key, know your benefits, members, NYSLRS, ordinary disability retirement benefit, performance-of-duty disability benefit, PFRS, retirement, Vested, World Trade Center Presumption on October 18, 2017 by NYSLRS.